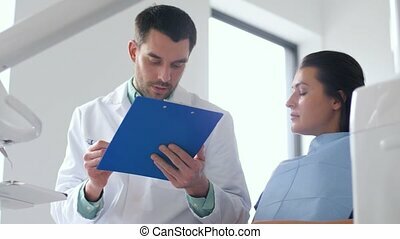 Doctor with clipboard and patient at hospital. 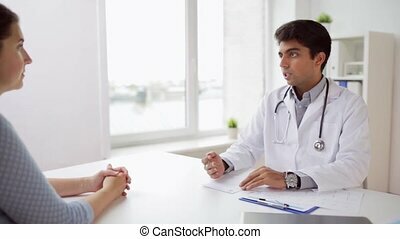 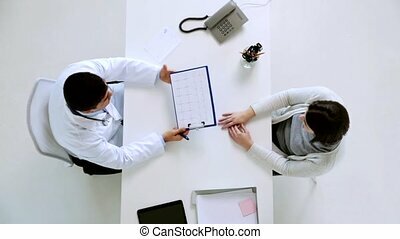 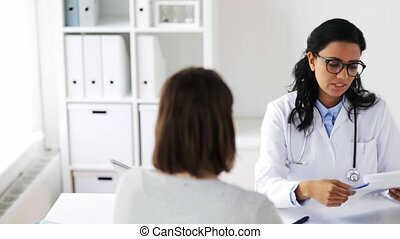 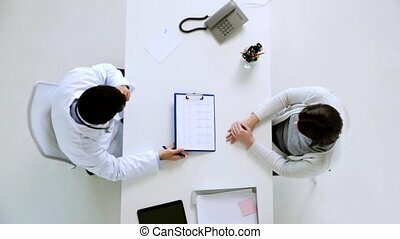 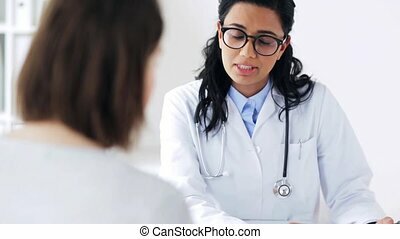 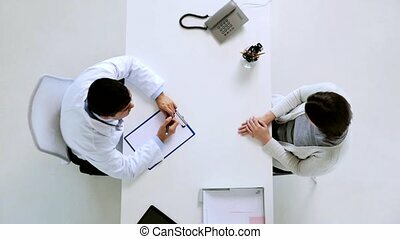 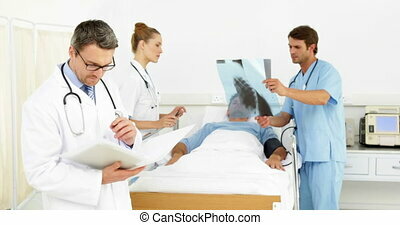 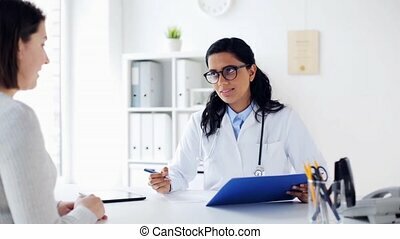 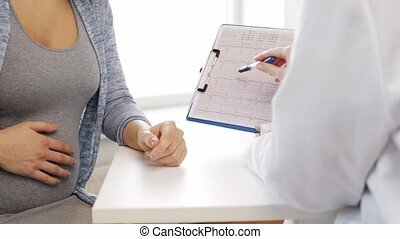 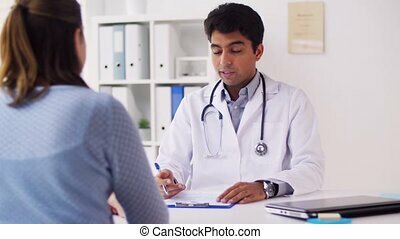 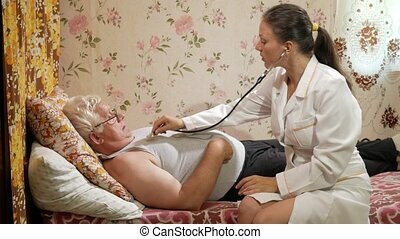 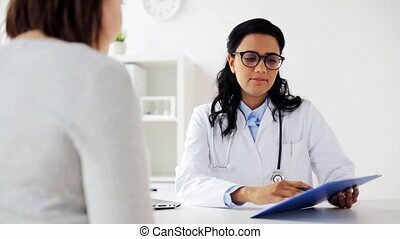 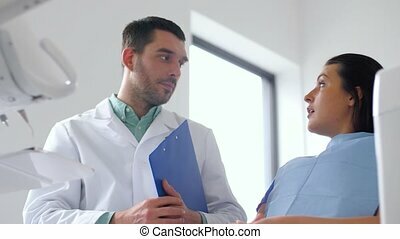 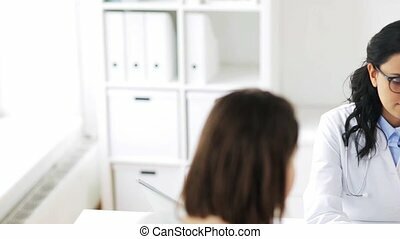 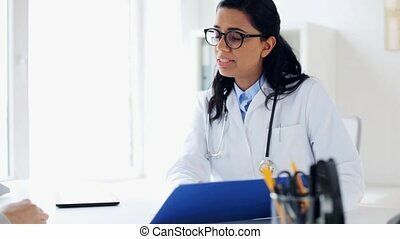 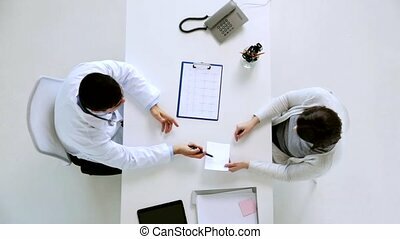 Medicine, healthcare, cardiology and people concept - doctor with clipboard and young patient woman with injured hand meeting at hospital. 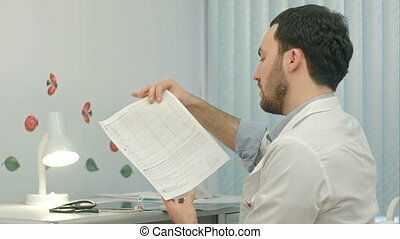 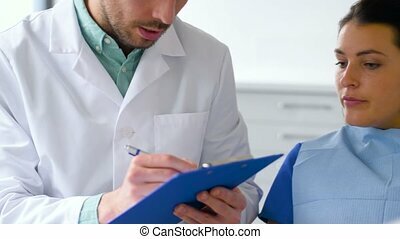 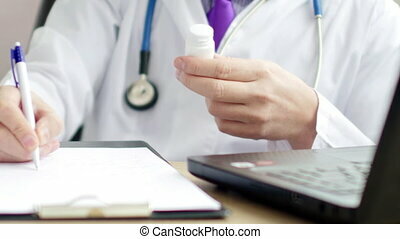 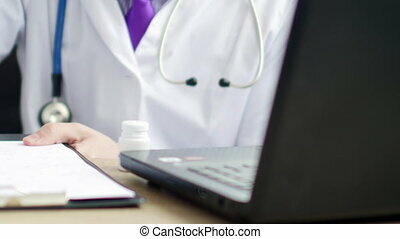 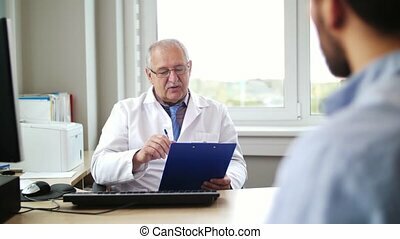 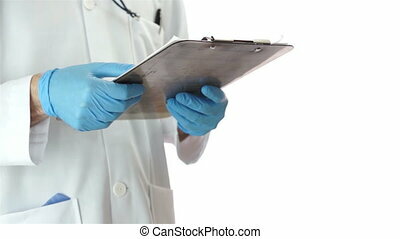 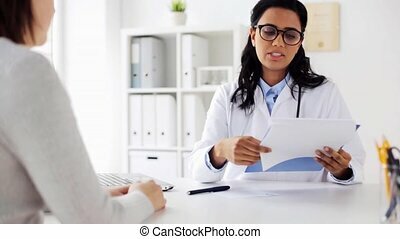 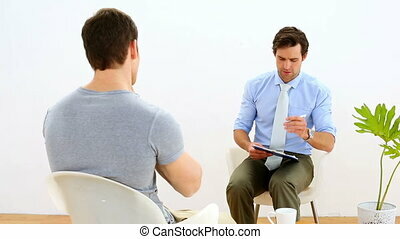 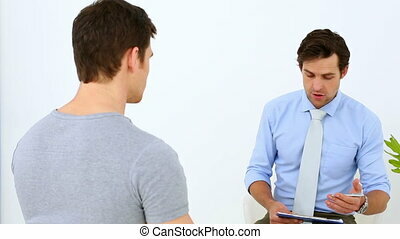 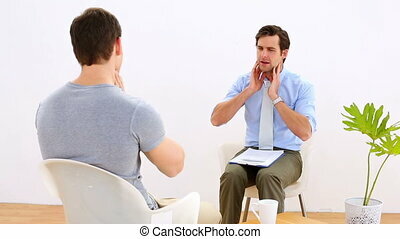 Anonymous doctor looking at his clipboard asks for and receives cash money from his patient.